Rabbits require as much vet care as dogs and cats | Make Mine Chocolate! All pet rabbits should be spayed or neutered. Regular veterinary checkups are a must. 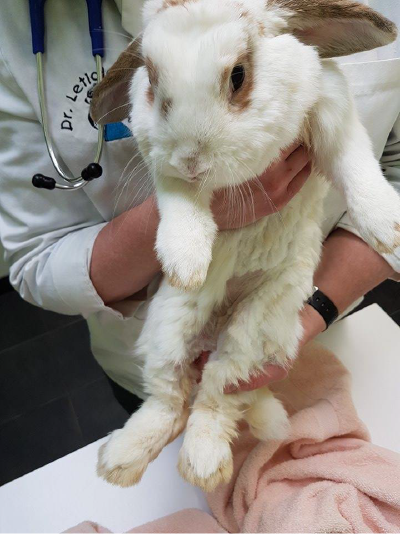 Injured or sick rabbits will need timely veterinary care. Sick or injured rabbits may need their owners to provide medical care at home. prone to developing some type of reproductive cancer (ovarian, uterine, mammarian). more aggressive, including biting, growling, and lunging. more destructive (chewing, digging, nest building). much more difficult to bond with another rabbit due to sexual and aggressive behavior. more difficult to litterbox train. 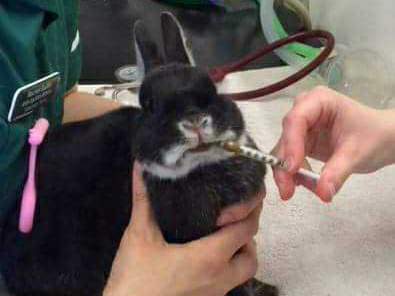 Spaying is a safe procedure when performed by an experienced rabbit veterinarian. more likely to spray their urine on furniture, people, and other animals. more likely to fight with other animals, including rabbits, dogs and cats. Neutering is a safe procedure when performed by an experienced rabbit veterinarian. Because rabbits are prey animals, they often hide their illnesses. 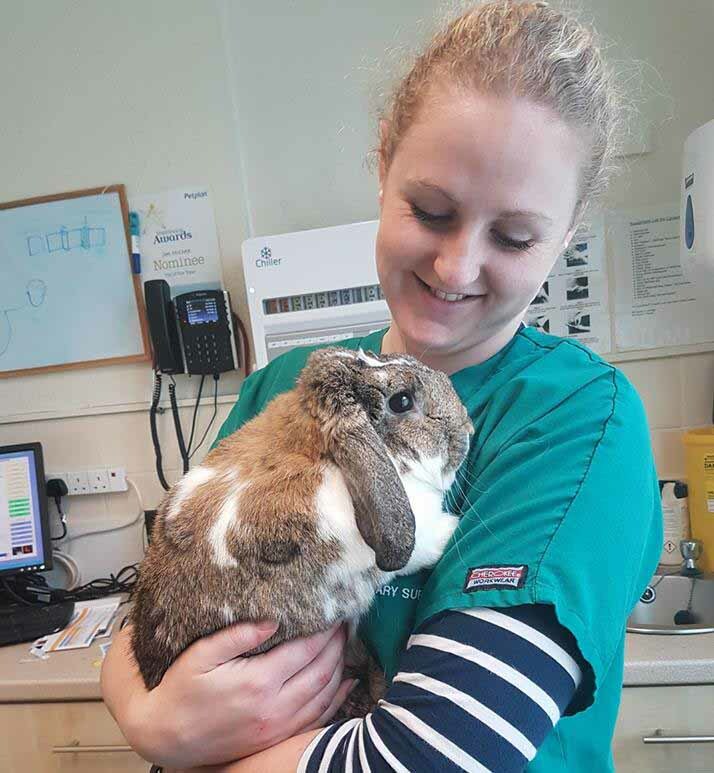 As a result, a rabbit needs to be checked by a vet at least once a year. 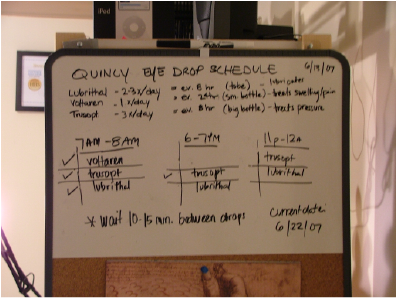 Older rabbits may require twice-a-year visits. Rabbits can experience a variety of medical emergencies, including digestive issues. 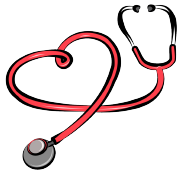 These illnesses can be life-threatening. 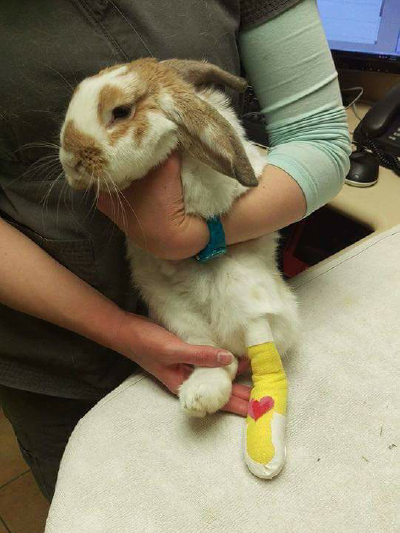 Rabbits can also suffer a variety of injuries, such as broken bones. They will require specialized veterinary care. An injured or sick rabbit will require the owner to provide in-home care. Prescribed medications must be administered in the correct amounts and as scheduled. Sick or injured rabbits may require medications by mouth or syringe feeding if the animal won't eat. 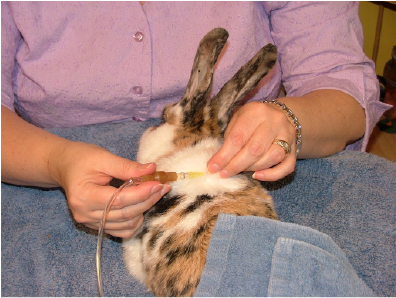 Injections may also be required, as well as administering fluids to keep the rabbit hydrated.